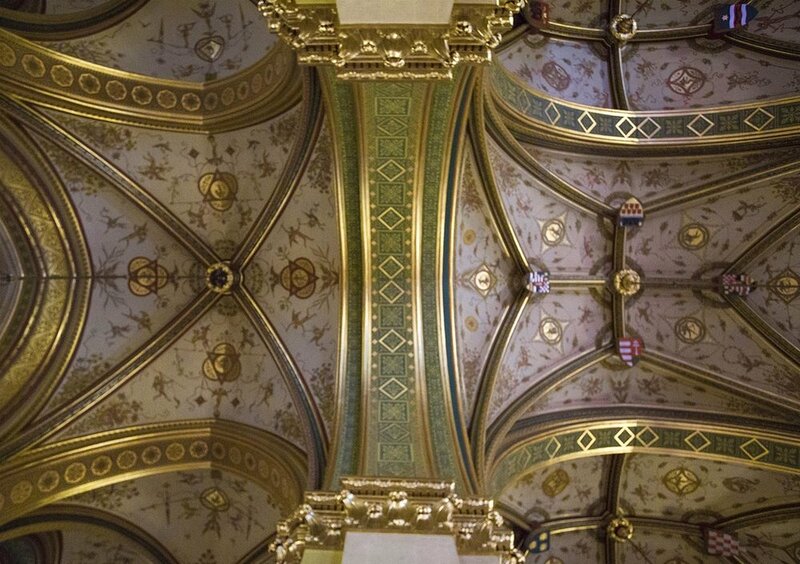 During my frequent visits to Budapest, Hungary in the last several years, I have created a photographic collection of ceilings of remarkable buildings. 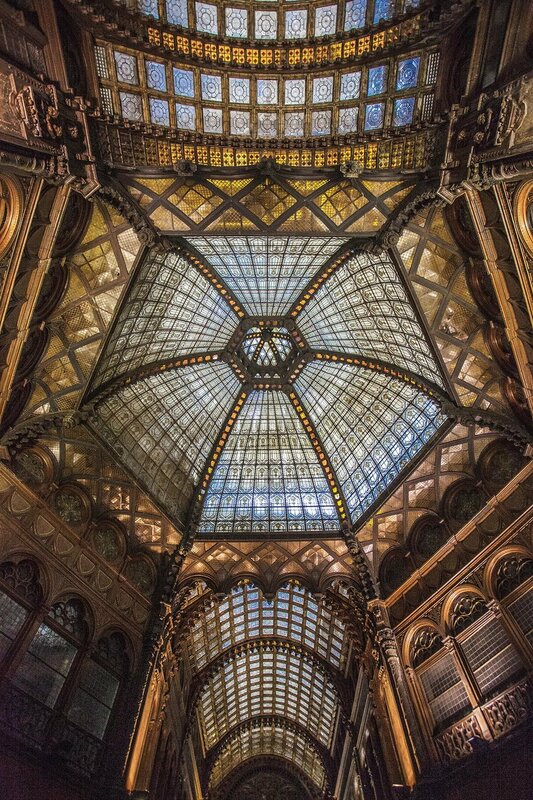 Budapest is an architectural photographer’s paradise. See it for yourself. One of the newest excitement in Vegas is Bally's Grand Bazaar shops at the corner of the Las Vegas Strip and Flamingo Ave. Central to the Grand Bazaar Shops’ experience is the Swarovski Crystal Starburst. Brilliantly colored light with sound and video, the Starburst soars above Grand Bazaar Shops’ colorful, mosaic-patterned rooftop canopy. The 14-foot-diameter sparkling sphere, composed of 924 custom-cut Swarovski crystals and more than 1,800 points of light, is the exciting focal point of the new retail venue. Her are some images of the project I had the opportunity to photograph very recently. Congratulation to my client JGA for winning the Silver Award at the 2015 A.R.E. Store of the Year competition with the Las Vegas Hershey's Chocolate World store design. Click below to watch a video presentation of the store. Today is the public opening of the John Varvatos store in downtown Detroit. The store is in a Gordon Lloyd-designed, 1891 building, which once upon a time housed the Wright Kay Jewelers. The 4000 sqft. store is touted by Bedrock Real Estate services -a Dan Gilbert company -to be "the first high-end designer fashion retailer in decades to open a permanent storefront in downtown Detroit." I have photographed the new store for John Varvatos a couple of days ago. Let’s hope that this store will start a real retail renaissance in Detroit. Very recently I had the opportunity to photograph the new Cobo Center. Beautiful project.Thanks for the assignment to Lumenpulse of Montreal, Illuminart of Ypsilanti and Albert Kahn Associates. After several years of dealing with various talented and not so talented web designers, I decided to test out my wings and build my own website. After extensive research, I found a perfect platform called Square Space which not only enables me to change my site as often as I want to, but also to start a blog. English is my second language, so please do not judge me by the words but rather by the quality of the images I will share with you. Anyway as they a picture is worth a thousand of words. I guess this is one of the reason I am a photographer and not a writer. I will share with you my current jobs, excitements and achievements so please visit back often! Here is the article about the recently opened Hershey's Chocolate World store in Las Vegas, NV published in the October 2014 issue of the Design:retail ( formerly DDI) magazine.